The Supreme Court has referred to five-judge constitution bench on the women's entry in Sabarimala temple on restriction of age 10 to age 50 in the temple. Earlier, the bench of Justice Dipak Misra, Justice R. Banumathi and Justice Ashok Bhushan had reserved its verdict on the plea as it involved important questions of law and the interpretation of the constitution. Today, the Supreme Court has shifted the Sabarimala case to the Constitution Bench after apex court judges raised several questions. The reason for the ban on entry of women aged between 10 and 50 years as stated by the management of the Sabarimala temple, located on a hilltop in the Western Ghats of Pathanamthitta district was because they can not maintain "purity" on account of menstruation. "I hope it [SC] will allow women to enter the temple". The Supreme Court will declare its decision on the long-existing ban on entry of women. Otherwise, we can not say it [India] is secular country. The Constitution Bench will decide whether Ayyappa devotees frame a different religious category by themselves. According to them, banning the entry of women would be against the basic tenets of Hinduism. Women's rights activists have high hopes from the apex court. Questioning the age-old custom, the Supreme Court in July had said, "A temple is a public religious place and can not refuse entry to a woman". 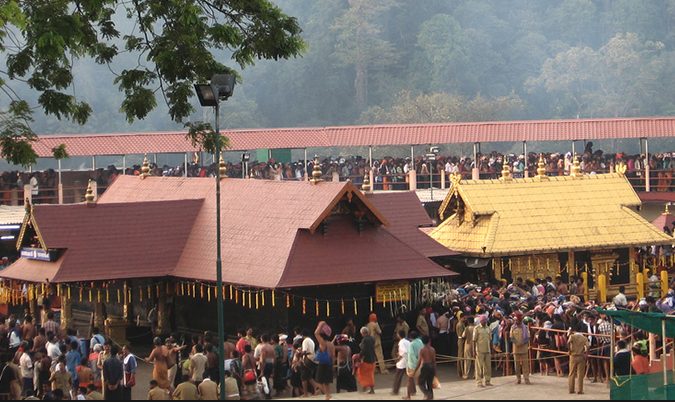 Whether Ayyappa Temple has a denominational character and, if so, is it permissible on the part of a "religious denomination" managed by a statutory board and financed under Article 290-A of the Constitution of India out of Consolidated Fund of Kerala and Tamil Nadu can indulge in such practices violating constitutional principles/ morality embedded in Articles 14, 15 (3), 39 (a) and 51-A (e)? The larger Bench will choose whether the restriction on ladies to enter the sanctuary qualifies as a "essential religious practice" of the Hindu faith over which the summit court has no ward. It violates the rights of women.